The death of the petrodollar could be imminent which would drastically reduce America's ability to wage war with other people's money. 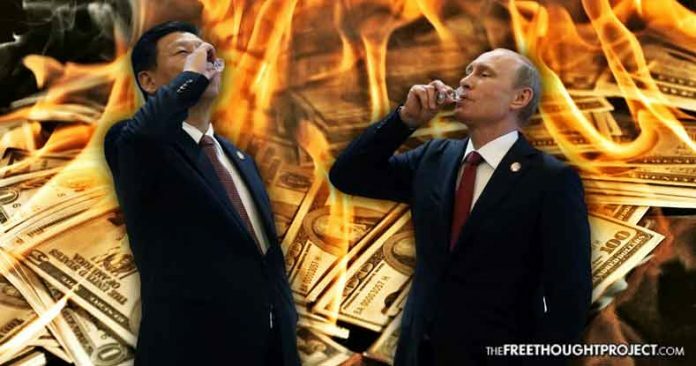 “In 2014 Russia and China signed two mammoth 30-year contracts for Russian gas to China. The contracts specified that the exchange would be done in Renminbi [yuan] and Russian rubles, not in dollars. That was the beginning of an accelerating process of de-dollarization that is underway today,”according to strategic risk consultant F. William Engdahl.